This knit heart shape is the perfect quick knit gift for Valentine’s Day and all year round as a gift to anyone you love! 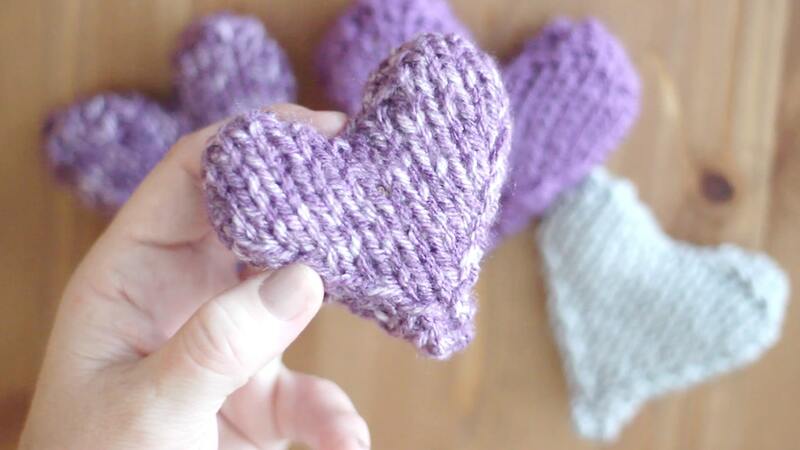 These Stockinette Stitch Hearts hold up their shape from the extra edging in Garter Stitch. 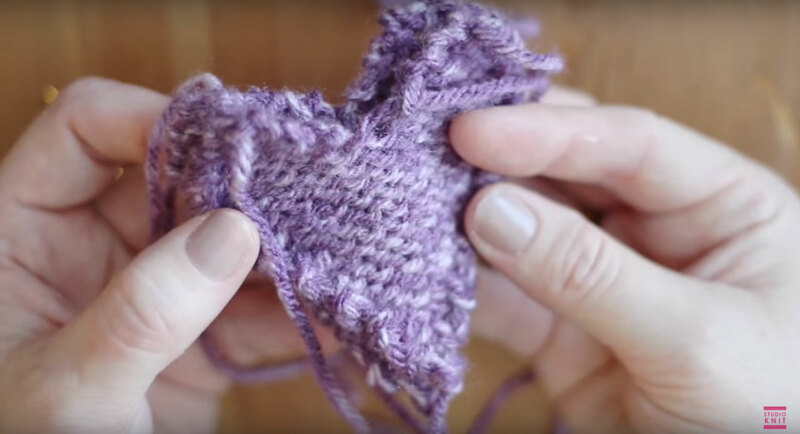 Knit up puffy heart softies by knitting two hearts, seaming them together, & stuff with lavender or poly-fill. WANT THE FREE WRITTEN PATTERN ON THIS PAGE? Keep scrolling, it’s up next! 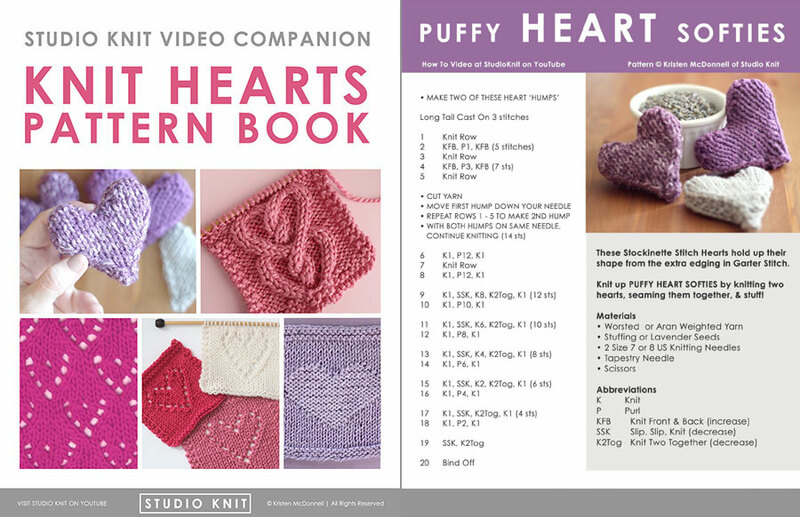 Download my entire digital “Knit Hearts Pattern Book” on Etsy or Ravelry to get my Puffy Heart Softies printable pattern, along with 4 more of my popular designs in one printable digital e-book for just $3.60. 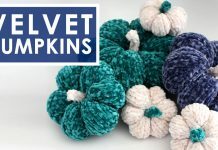 A great way to support my work here at Studio Knit! 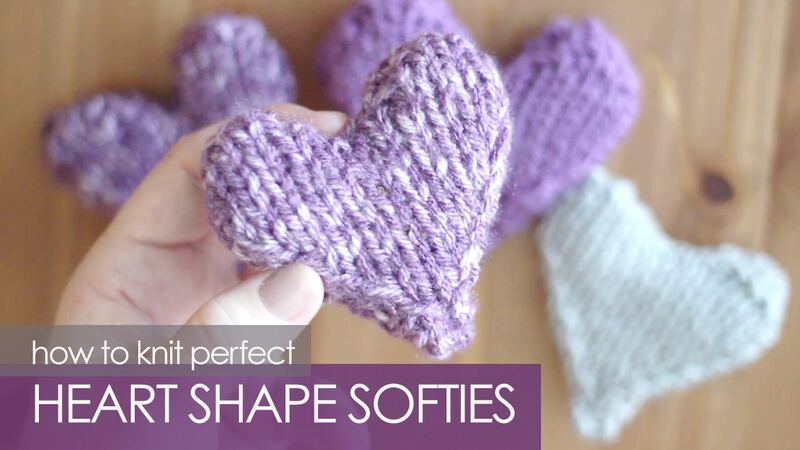 Using the exact same knitting pattern, you can have fun creating heart softies in different sizes. Simply change your yarn gauge and knitting needle size. Here are some samples I’ve knitted up to give you an idea of the size of your knitted heart. Tiny Heart: 2″ x 2″ with #2 Sport Weight Yarn and #3 US Knitting Needle Size. 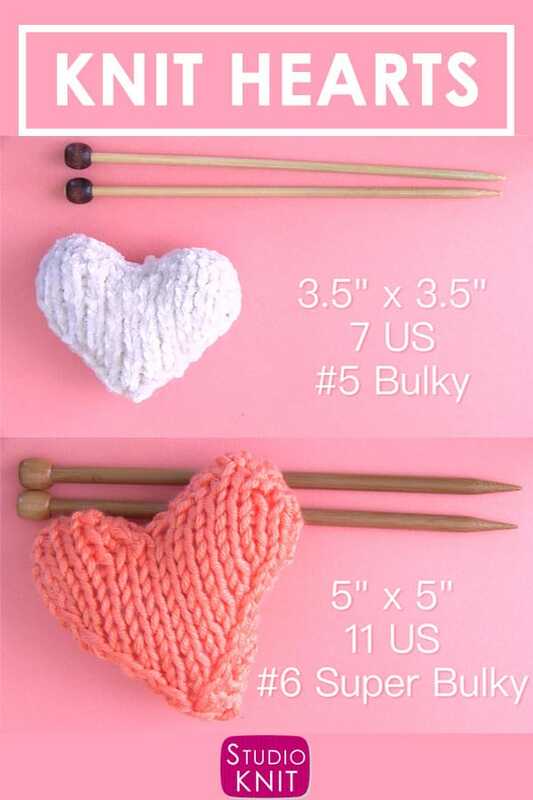 Small Heart: 3″ x 3″ with #4 Worsted Weight Yarn and #7 US Knitting Needle Size. Medium Heart: 3.5″ x 3.5″ with #5 Bulky Weight Yarn and #7 US Knitting Needle Size. Large Heart: 5″ x 5″ with #6 Super Bulky Weight Yarn and #11 US Knitting Needle Size. Once you have knitted up two of your heart shapes, to make up the front and back of your sachet, simply tack them together with the right side of your pieces facing together with yarn using your tapestry needle. 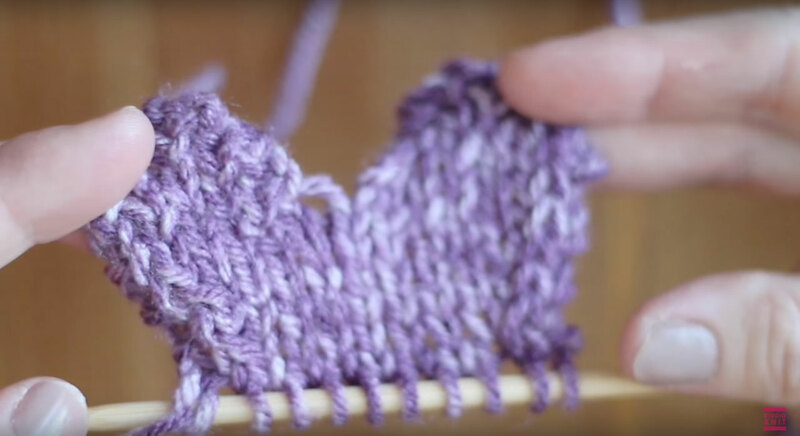 Turn them right side out and fill them up with your either loose lavender, stuffing, or bits of yarn, and close them up. 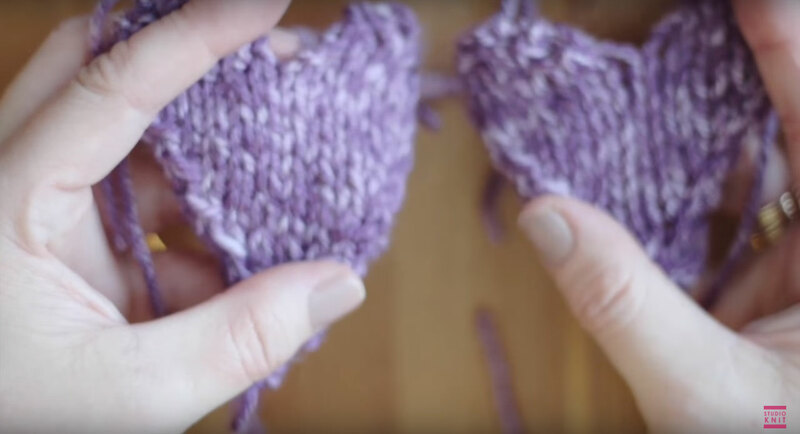 Turn your heart right side out and fill it up with your either loose lavender, stuffing, or bits of yarn, and close them up. Such a pretty gift to knit up for those you love. 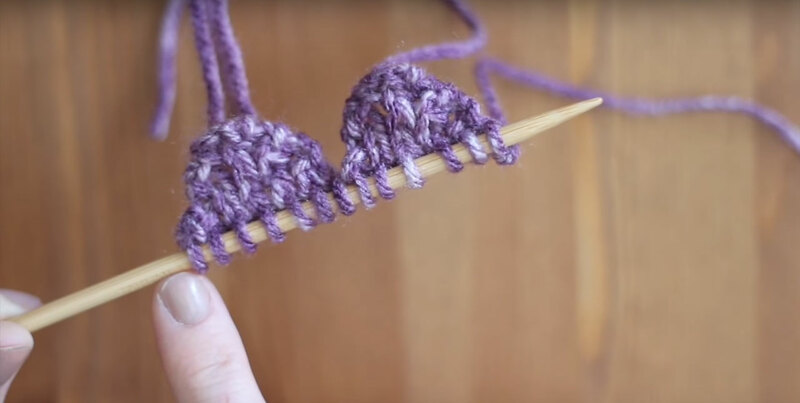 If you love knitting up pretty hearts, you’ll love these great designs. Take a look at my most popular heart patterns: Cable Heart, Lace Hearts, Hearts Bouquet. 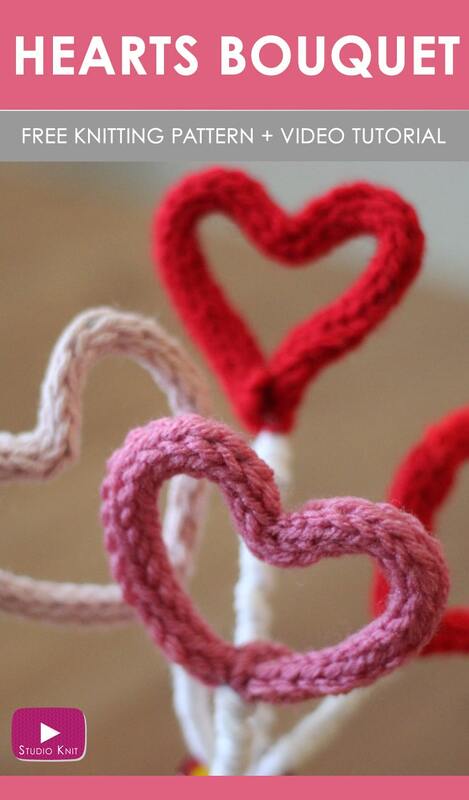 I hope you are inspired to make this Knit Heart Pattern in your next project. A perfectly knitted heart softie. Your friends, family, and loved ones will cherish this thoughtful handmade gift made especially by YOU! 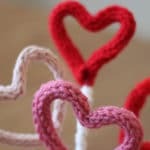 For more knitting full of love, check out my 5 Most Popular Heart Knitting Patterns! If you’d like even more great knitting ideas, please make sure you join my mailing list. 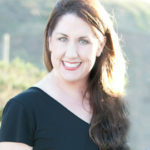 Subscribing to my YouTube channel Studio Knit is another easy way for us to stay connected and help support my work for free.